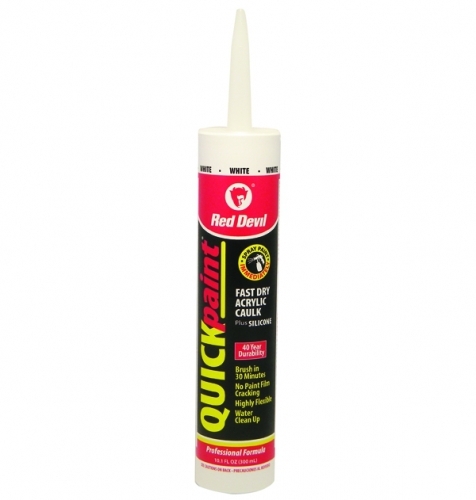 Quickpaint® Caulk, formulated especially for the professional paint contractor, is a 40-year, fast dry acrylic caulk plus silicone that saves time and money by allowing the fastest paint over time in the industry - just 30 minutes with latex paint, 2 hours with oil-based paint or immediately with spray paint. It's easy to use, adheres to most construction surfaces indoors or outdoors and cleans up easily with water. Cured caulk is mildew resistant.